Today’s six player swiss was quickly blasted wide open as all three top seeds were upset in round one. 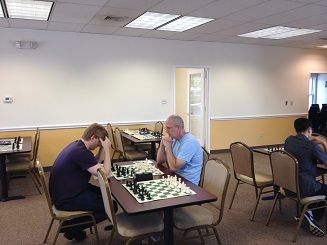 Jack von Riesemann, fresh off a week of chess camp at the CCFC drew Jason Li who was rated nearly 900 points higher! Grant Wang defeated the top seeded Ryan Young in round one on his way to a perfect 3/3 score and a gain of nearly 75 rating points! 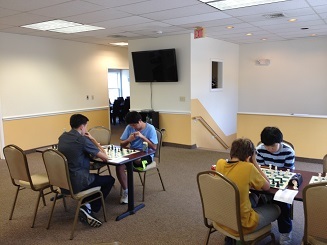 Jason Li, Patrick Zhur and Scott Buono tied for second with 1.5/3 each.